Airport Transfers to every airport in the UK. Meet & Greet service for that professional touch. Door to door service, no sharing, no hassle, just relax! NB Use right tab in header above for quick guide on prices. Night Rate applies Midnight till 7am except Airport Transfers. NB use Night Rate tab to get Bank Holiday Airport Transfer prices. Use Holiday tab for all other Bank Holiday set price journeys. 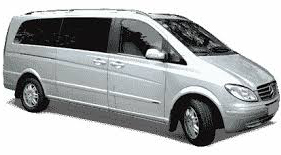 MPV option means 5 to 8 people. Luggage capacity varies from 0 to 8 suitcases.